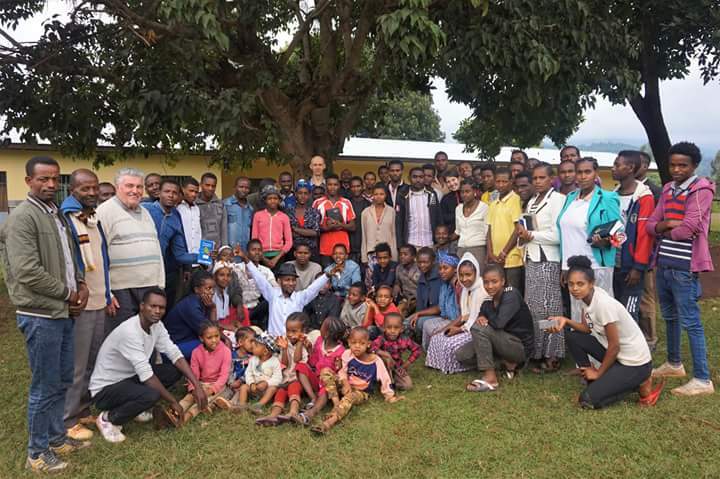 Last Saturday with some members of our Comboni Friends group, we went to Daye – one of the Combonis’ missions among Sidama people. We met there with youth leaders from different outstations, more than 50 of them came. The topic was based on Matthew’s gospel and parable about talents. 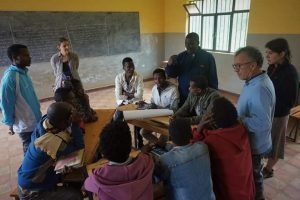 There was small teaching about, testimony of Adela about her talents and how she uses them to serve others, and then time to work in small groups to discover and share which gifts God gave us and how can we use them. We hope that this meeting inspired them to discover their gifts and use them. Also for us, it was very joyful and enriching time. I’m about to go back to Poland from my mission in Ethiopia. A great part of my service was teaching children in two kindergartens. I taught them English. The schools belong to the Missionaries of Charity (Sisters of Mother Teresa of Calcutta). The first year of my teaching I was more focus on learning than teaching. I observed what other teachers were doing. I simply used to go to school and teach the children what came to my mind or what I found in the Internet. First year sometimes I was really frustrated with the situation in the school, especially with the attitude of the teachers. Some of the teachers prefer to sit all the class doing nothing, while the students repeat alphabet 100 times and even don’t recognize the letters. I could give many examples like this. I tried to talk to the coordinator of the schools and later also to the Sisters. However none of them hoped to change anything. They knew how they work, they tried to talk to them, to organize a training with psychologist, but nothing has changed. However I still wanted to work with them. Last year I started to organize teachers’ training every other week (one Friday in one school, the next week in the another school). Before every training I had to prepare some materials. I learned a lot to be able to share this knowledge with others. I still worked with the children, however at the beginning I prepared the English program for the whole year. 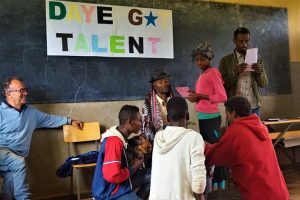 I included many games, songs, various techniques and activities so the children had more fun and were motivated to study. Even when I didn’t have a lesson, the teachers should still follow the program and report what they did. I changed my schedule to be able to have similar number of lessons per week with each group in both schools. I wish I could change something, especially the attitude of the teachers. I’ve learned one very important thing about motivation. Those who daily struggle to satisfy the basic needs of them and their families usually are not motivated to serve others, to do the good work for the society. Somehow it is psychologically justified. Only God can give the motivation beyond that. 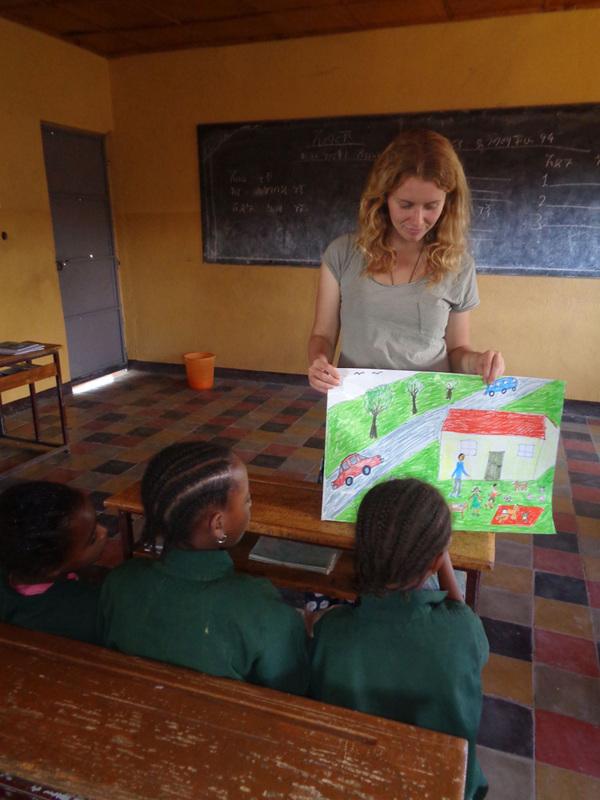 Some of the teachers really care for the children and their future, for the efficacy of their teaching. I’m sure that it’s God’s influence. If the teachers don’t have any motivation coming from inside then they might be motivated from outside. That’s why I’m struggling now to arrange the implementing of the new evaluating system. Up to now, all the workers are very free to do what they want because there are no many consequences of that. If they work hard or are lazy, nothing changes. So now first of all, I’m trying to encourage the coordinator and the Superior Sister to prepare the new system and implement it. My work at school was evoluting while I was also developing my knowledge, skills and way of understanding. I know that the most important was not the knowledge I shared with the students or the teachers, but my presence. I’m aware that the children are too little to remember the English vocabulary in the near future. But surely they will remember me as someone who gave them joy and love. If I managed to teach the teachers something useful then it would be for the good of the children. The attitude is the most difficult to change. If there is a little improvement, I give the glory to God, because only He is able to renew the people’s heart. My presence in the schools was a great lesson to me. I learned a lot not only about the profession of teacher and methodology, but also about the culture, about the people, their needs, their thoughts. Now I can understand them better. I know my perspective is different. I’m not frustrated anymore. I don’t judge them. I tried my best. The rest of the work I leave to God. So… Who have learned more: the students, the teachers or I? I would say that I… But God knows… I think we all have learned something. Imagine a colorful procession. 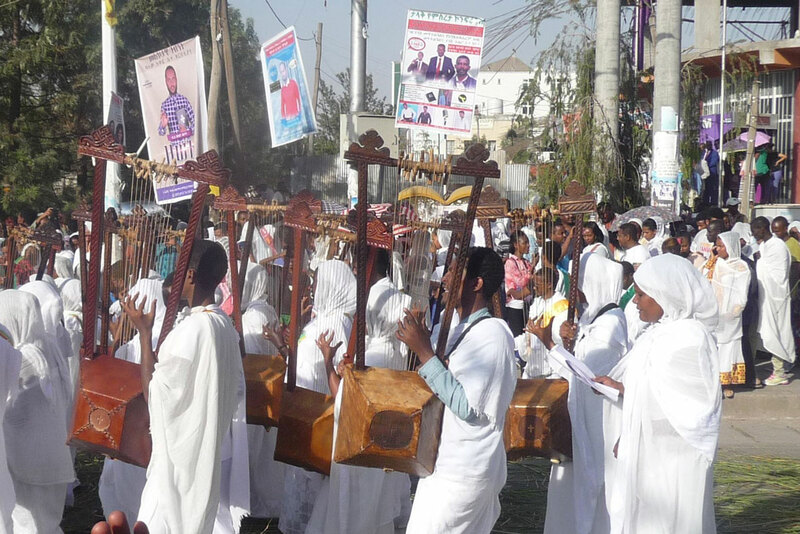 Crowds of people clothed in different kind of cultural dresses and uniforms are dancing and clapping, singing and making the characteristic African noise “lililili”. They are different ages, young and old, babies and the elders. In the center of the crowd, there are carried big colorful tents, and under them a few men are moving slowly with something on their heads. All the people are coming closer to see them well, at least for a moment. 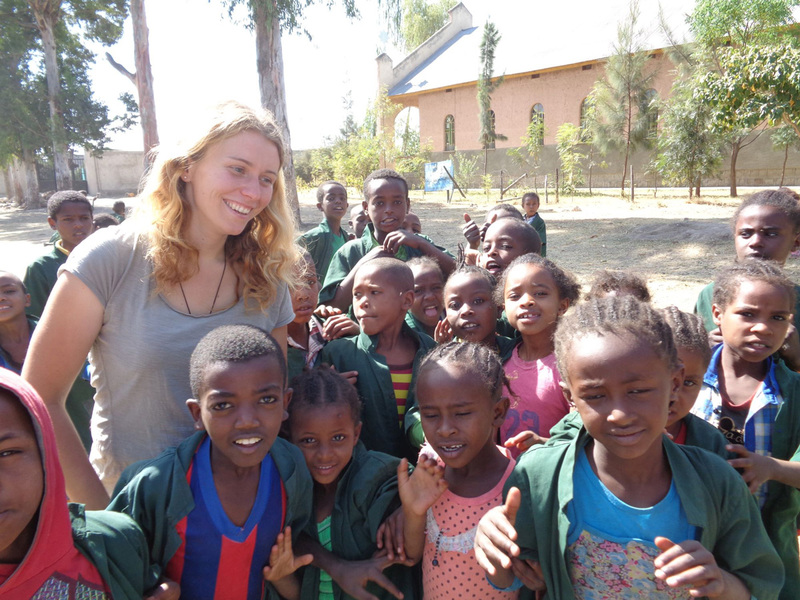 All of them are so happy, because they are celebrating one of the most important feasts in Ethiopia, the Timket. 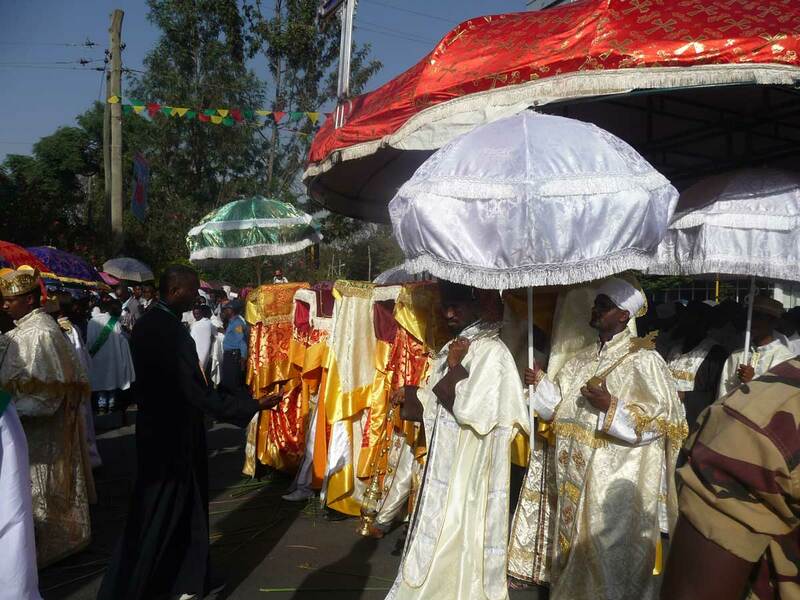 It is related to the Ethiopian Orthodox Church tradition. Timket means “baptism”, so it is the Lord’s Baptism Feast. 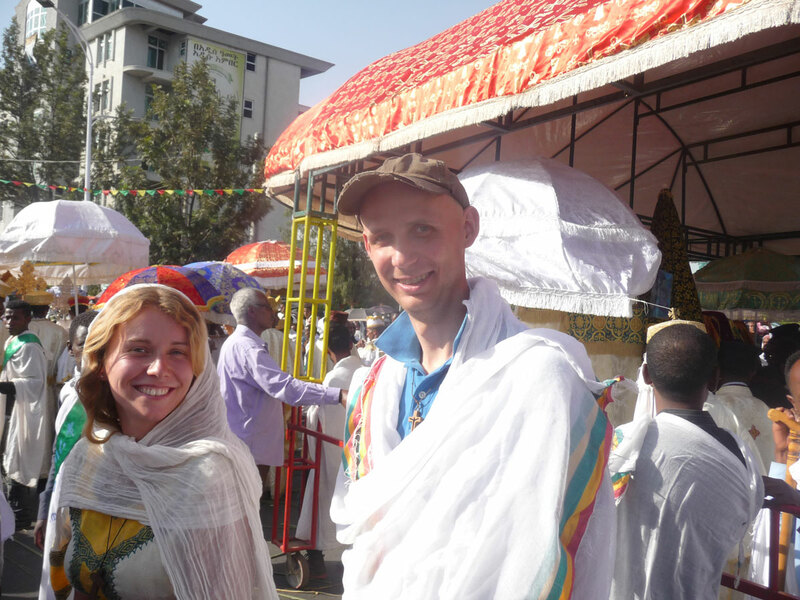 This year we participated in the tradition in Awassa. The day before the feast priests took the replicas of the Ark of Covenant from the church. According to many Ethiopian people, the real Ark of Covenant is placed in Axum (historical place in Ethiopia). However, in all the Orthodox churches there are replicas of the Ark of Covenant and it’s a sign of the presence of God. During the Timket the priests put the arks on their heads and bring them to the nearest water in memory of Jesus’ baptism in the Jordan. They are tided in colorful clothes so we nobody can see them. In case of Awassa all the Arks of Covenant were brought to the lake side. The feast is the only occasion during the year while they leave the churches. The processions were started in different places (in different churches), but they met on the way creating really huge crowd of people. In the destination, some of the people stayed for the whole night, but we went home. In the morning of the following day after the Mass the processions brought the Arks of Covenant back to the churches, but the people still were celebrating whole day. It is good occasion to visit families or friends, to make nice coffee ceremony, prepare ‘dorowot’ (chicken), or drink ‘tela’ (local beer). During summer time/rain season in Ethiopia, the students doesn’t have regular classes, but it is quite popular to organize summer school or other activities for the kids. 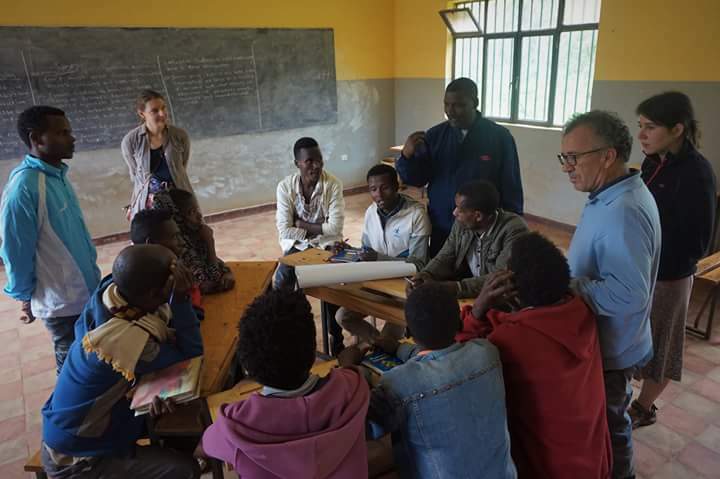 This year also CLM in Ethiopia were involved in such a program. Tobiasz was coordinating the project and invited the rest of the community to take part in it. 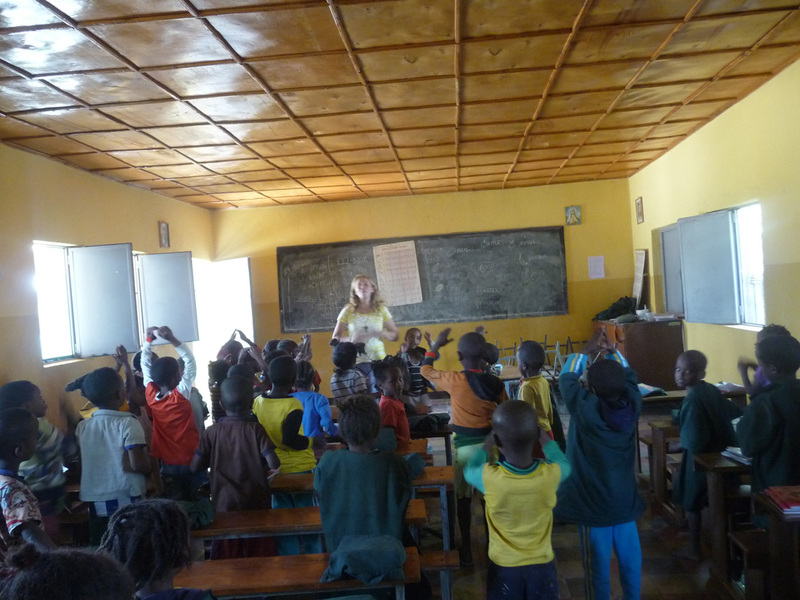 Over 80 kids participated in the school during 3 weeks. 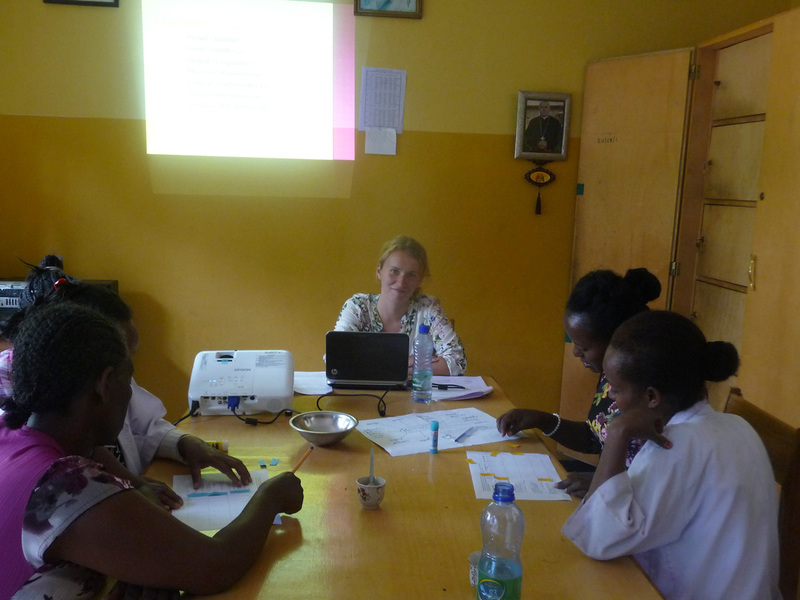 They had different topics related mostly to health – nutrition, HIV/AIDS, first aid, hygiene etc. 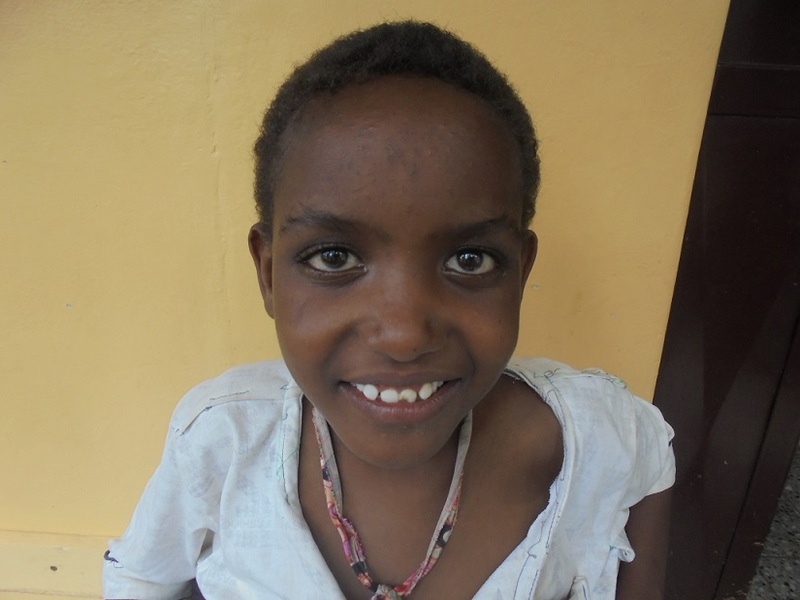 A few months ago, 12-years old Aman, after falling from a tree injured his spinal cord. His family brought him to us as the last place where they could receive some help. Unfortunately the damage was so serious that we were medically unable to do anything. Only we could try to get a wheelchair for him so he can become more independent. There is one organization in Awassa that distributes orthopedic equipment, so together with Aman we went there, full of hope. Unfortunately they could not help us. 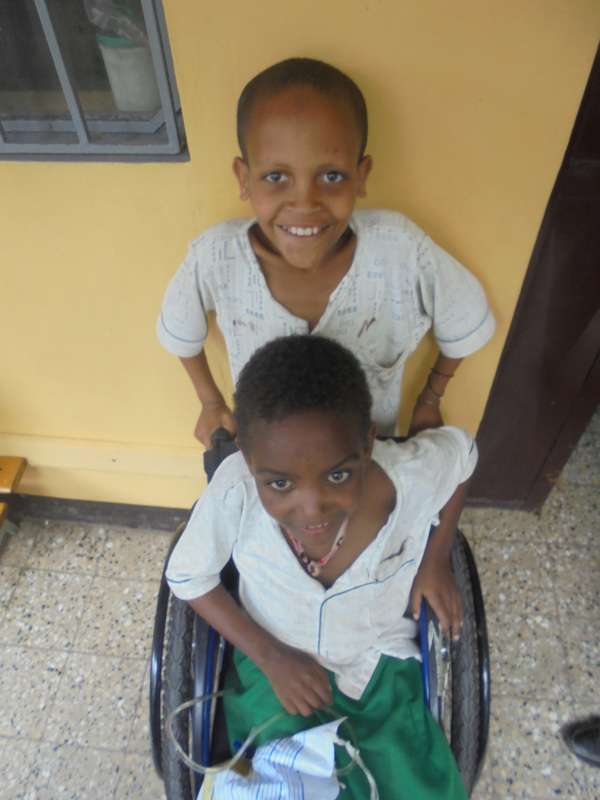 I was so disappointed… So the boy went home without anything … After a few weeks I visited this organization again and found out they have a new delivery of wheelchairs! However, I had no contact to Aman (most of our patients do not have a permanent address, phone number, or any other means of finding them). I felt really bad with it, that the chance to help the boy appeared too late, and now I probably never will meet him again… But God is reliable! I recently visited another child in hospital and how great was my surprise and disbelief when I saw Aman’s smiling face on the bed next to me! It turned out that he was getting discharged from the hospital the same day, so his mom willingly accepted the offer to come to our center (where we would continue to treat bedsores for which he was hospitalized) and at the same time try to get equipment for him. The next day Aman was with us, so we went to ask about the wheelchair. And we heard – “We are very sorry, but unfortunately we have no more …”. And such a cry in my soul – “Lord, this boy has already been disappointed once, now you put him again on my way, so please help!” And a moment later – “Although we have one wheelchair, which for a few weeks no one picked up, so if it fits can you get” And of course it fitted perfectly! How great was Aman’s joy when he started to go around the center 🙂 And how great was my joy and gratitude to God for this miracle! For the fact that I met this boy again, for having arranged a wheelchair for him and it’s so immediate, because normal waiting process lasts 2 months 🙂 And also a lesson of trust for me that God never let us down and that He also knows better when it is good time to have something happen.